Technical Specification Sr. No. Particulars Dimension 1. Overall Plant Dimension 9.6 x 5.4 x 3.6 m 2. Pallet size 565 x 550 x 19 mm 3. Brick per Stroke (230x110x75mm) 8 Nos. 4. The frequency of vibrate 75-90 Hz 5. Cycle time 20-25 sec. 6. Installed capacity Kw (HP) 29.4 kW (39.5) 7 Belt Conveyor 24.0 Feet 8. Pan Mixer 350 Kg. 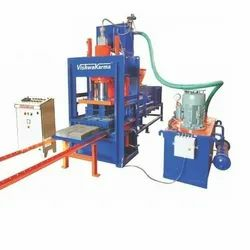 We are offering a wide gamut of Automatic Fly Ash Bricks Making Machine in the market. 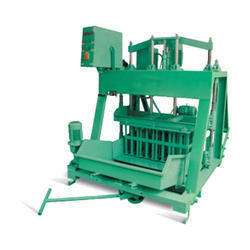 These are manufactured from best quality material at state of art infrastructure unit.